In a world accustomed to following the latest trend and mass market behaviour, we find no shortages of consumers making poor choices. Often we make a decision on which product to purchase or which avenue to pursue based on what we see advertised and what appears to be in vogue. But it’s not our fault, we trust large companies to have the consumers best interests in mind. But I suppose that’s our first mistake (so technically it is our fault). As someone who has worked for one the largest and most recognisable brands on the earth. I can confidently give you a hint. They couldn’t care less about your best interests! It’s time to snap out of it and stop drinking the Vanilla Coke and think about where we spend our money. Now don’t get me wrong, not all big brands of the world are evil and some truly do have the best intentions for consumers. But it’s on us to rule out which ones are which and those we need to find alternatives for. One industry that we trust wholeheartedly and probably shouldn’tÂ – is the shaving industry. Sizable companies like Gillette, who just so happens to be one of the hundreds of brands under Proctor & Gamble, are notorious for overpriced razors and unnecessaryÂ “advancements” in technology. It seems like almost every year they’re adding another blade or a new feature which promises to give you smoother skin and less irritation. The reality couldn’t be further from the truth. And the irony is that the best solution was created by Gillette more than 100 years ago. So without any further blabbering, here are 4 reasons you hate shaving and how you can fix them. So first off, swap out your 5 Blades for 1! No. More blades do not equate to a better shave. 1 is all you really need. Instead, try using a good old safety razor. I recommend the Parker 96R with Shark Blades. You can pick up the shaver for around $30 and a pack of 100 blades for $10. Yes, you read that correctly, 100 blades for $10. Sounds a lot better than $21 for a 4 pack of Gillette Proglides. Not only is it better for your skin, but also your wallet. The reality is that marketing has lead us to believe we need more blades. Truth be told one blade does just as good of a job as five, all while causing much less irritation. I mean think about it, every time you pass over you skin with a 5 blade razor you are essentially passing the skin 5 times. And if you have to do a second pass, you’ve effectively hit the same spot 10 times. Whereas with a single blade, each pass is just one pass. Sometimes more isn’t always best. The other over-marketed product you are buying that you shouldn’t be is cheap shaving cream.Â Most mass-market brands of shaving cream come in the form of aerosol cans and contain harmful chemicals that can cause greater irritation while shaving. Some even have numbing agents, such as Lidocaine, which simply mask the discomfort of a multi-blade razor shave. Instead, opt out for a shaving cream made of natural ingredients like the Pacific Shaving Company Shaving Cream. Your skin will thank you immensely. One the most overlooked tools in the art of shaving is the shaving brush. But it’s added benefits are well worth the purchase. Using a brush creates a foaming lather and when applied to the skin, you ensure the best shave possible. The by producing a higher quality lather it protects the skin from the friction of the blade. The brush also softens the hair and lifts the beard for the shave, giving closer results with fewer passes. You can get an effective brush by picking up theÂ Edwin Jagger Badger Hair Shaving Brush for around $30. Half the battle to shaving comes in your prep. Most people see shaving as just another task to check off the list like brushing your teeth, putting on deodorant or doing the laundry. However, by making it more of ritual and actually taking some time to get all your essentials ready, it becomes somewhat therapeutic. So to get things started – take your time. Once you’ve set aside at least 20 minutes you can begin the process. Get all your tools prepped first. Take your brush and razor (with the blade) and soak them in hot water. While those are soaking, go hop in the shower. 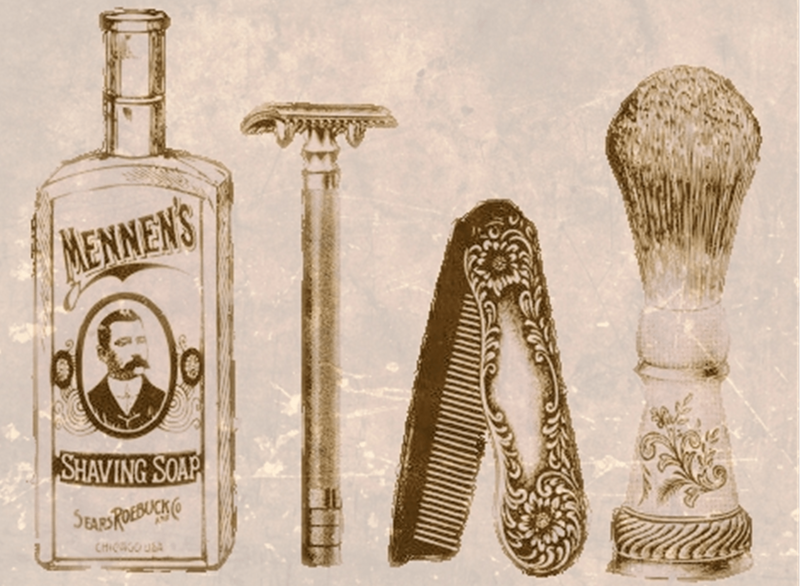 A key component to a good shave is ensuring that they skin and hair are ready for a shave. By this, I mean that they need to be clean and soft. The best way to ensure this is by using an exfoliant scrub. I recommend the St. Ives Apricot Scrub. A gentle scrubbing of the face ensures that the skin is not too oily by unclogging pores and removes and dead skin that has accumulated over time. Once that’s done, you can get out of the shower and get ready for your shave. As important as your prep is, the finishing touches are just as crucial to a quality shaving experience. To finish things up give your face a rinse with warm water, followed by a rinse with cool water. The cold water will soothe your skin and prevent ingrown hairs. It also causes the blood vessels on the skin to contract, reducingÂ swelling and bleeding from the small skin tears. Simply pat dry with a clean towel, but donâ€™t rub your face as it would be quite sensitive at this point. Follow all of this up with a proper aftershave lotion. Once again, I recommend a product consisting of natural ingredients. The Burt’s Bees Aftershave is a great option, especially if you like smelling like something similar to a forest. An amazing shave is not limited to men. If you are a lady looking to for a smooth shave without the irritation. You are in luck. Simply take all of these practices and apply them to your own areas of shaving. The only adjustments might come in the form of your shaving cream and lotion brands or scents. Unless of course you like smelling like the fresh dew of lush forest. Then by all means go for it. Everything other tool works just as effectively when applied to legs, underarms and any other areas you wish to keep hairless. 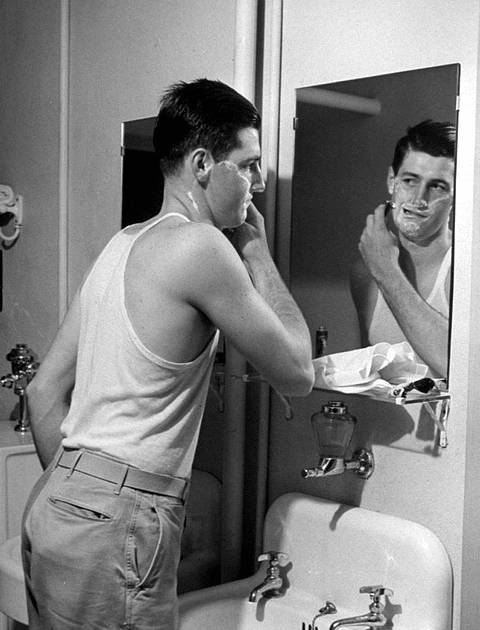 Chances are your grandpa probably shaved with a safety razor and I think he would be proud to know you’re following in his footsteps. He would also be pleased to know that you’re making the wisest financial decision. And at the end of the day, you are making your skin happy, and that’s what matters most. So go out and get yourself the right tools for the job and don’t fall into the trap of assuming the shaving should be a cheap, quick, and unenjoyable experience. If you correct these mistakes and invest some time into shaving you will end up enjoying it and no longer see it as just another task to complete. But instead, something to look forward to.